‘Painting the skies’ on the shores of Lake Trasimeno: Spend an amazing day on the shores of Trasimeno Lake and participate to the Kites Festival in the Airport park in Castiglione del Lago. Since it began in 1982 in Castiglione del Lago, a small village on Lake Trasimeno’s western shore, the ‘Painting the Skies’ event has attracted thousands of kite and hot-air balloon enthusiasts from around the world, and remains one of Umbria’s best-loved and formidable celebrations. 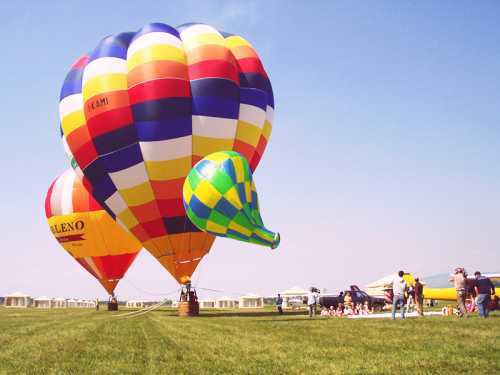 The sky will be coloured by the most spectacular kites and balloons you have ever seen. 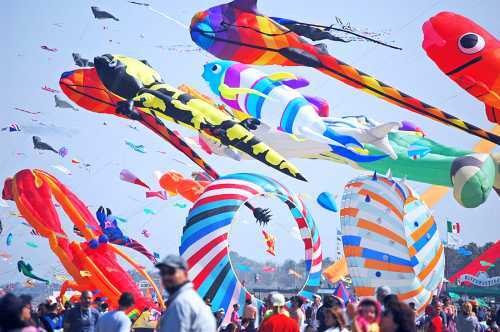 Anyone can participate freely, with your kite or by purchasing one in one of the many shops on the spot. The festival always enjoys a diverse programme, including activities such as kite exhibitions, kite workshops, hot air balloons, mountain bike and trekking, music, dancing and naturally, eating wonderful Italian cuisine washed down with copious amounts of equally wonderful Italian wine. And do not miss the chance to enjoy the enchanting panorama of Trasimeno Lake, aboard a colorful MONGOLFIERA at an affordable ticket. The tour includes also a guided visit of the beautiful city of Castiglione del Lago.